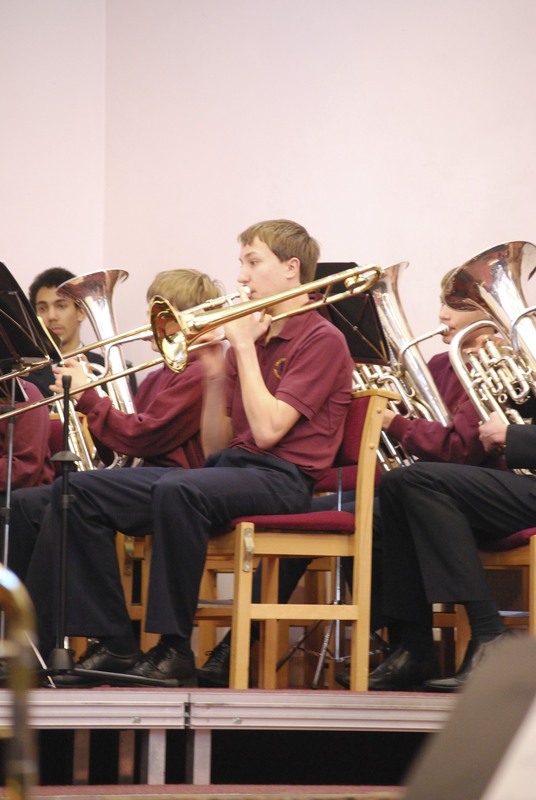 We have a young people’s choir called the Singing Company and a brass band called the Young People’s Band. Both groups consist of children aged from seven to late teenage. They sing and play music in our Sunday morning Worship meeting and provide joyful and soul stirring music. 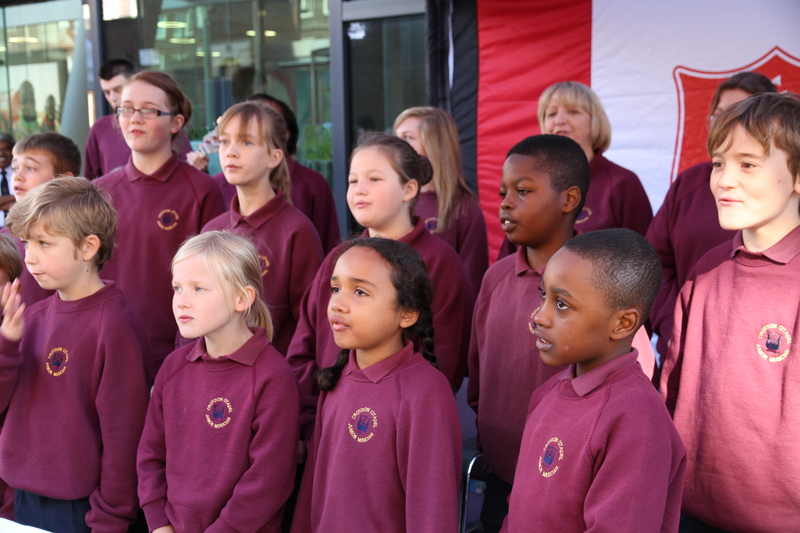 They also provide concerts in our local community and throughout the UK. 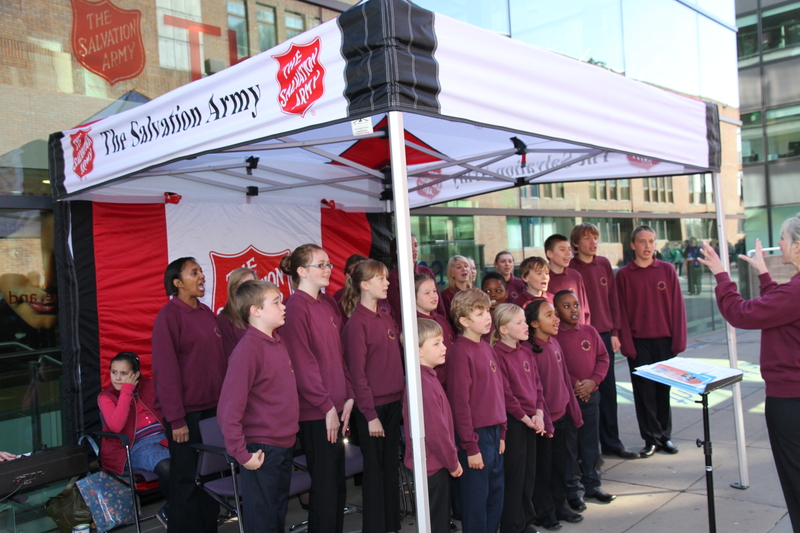 In 2012 they have provided a concert in Penge in South London and visited Cardiff for the weekend to provide music and lead the meetings at the Salvation Army centre in Cardiff Canton. 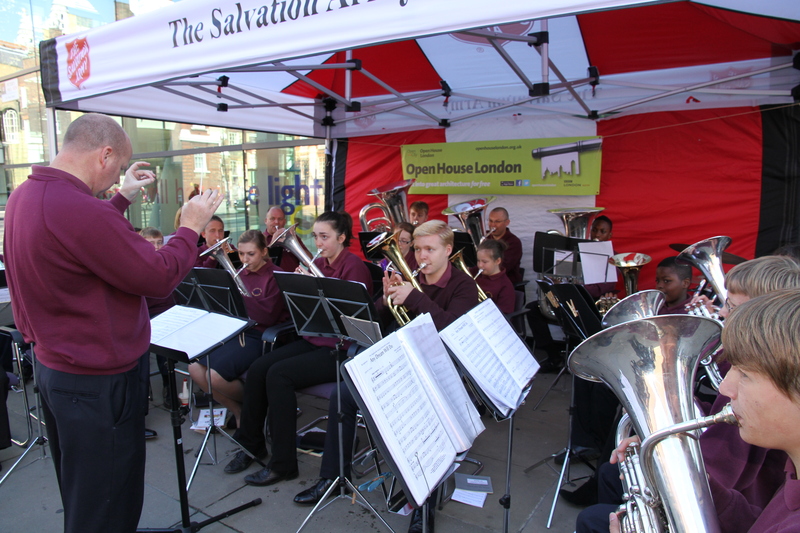 The outdoor photos were taken in September 2012 when both groups provided music outside in London. To hear the band play Peter Graham’s Las Lluvias Grandas click here. To hear the Singing Company sing Keith Hampton’s Praise His Holy Name click here.